New Year's resolutions top many to-do lists during the holiday season. A new year is a beginning, so new goals and resolutions, new plans, dreams, and new directions naturally fuel your thoughts. Many people find New Year's resolutions intimidating and daunting but you can take action to achieve your new goals with these ten suggestions for work goals to guide you. Marcus Buckingham and Curt Coffman of the Gallup organization discovered this critical factor in interviews with 80,000 managers. They narrowed down the questions asked to those that most clearly appeared to define happy, motivating, and productive workplaces. One of the top questions was, "Do I have the opportunity to do what I do best every day?" People who could affirmatively answer that question were more likely to be happy and productive at work. So resolve to be passionate about your work. Do the thing you do best every day. You can get caught up in doing for others every minute of your workday when you're a manager or a business professional. This problem is compounded when you have family members who occupy your off-work hours. Resolve to set time aside for yourself every day. Use it to exercise, relax, reflect, meditate, cook a gourmet dinner, write in a journal, walk your pet, or do any other activity that takes your fancy. Just make sure that the activity is different from what you're already doing all day long. The Gallup study also found that people who had received praise or recognition for their work in the last seven days were more happy and productive. 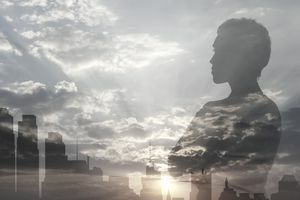 You're less likely to have frequent interaction with your boss in this era of empowered employees and broad spans of managerial control, so it's important that you recognize yourself for your excellent efforts. One way to do this is to keep a file of positive notes, thank you letters, and reminders of your successful ventures. It's easy to get bogged down in the same old, same old routine. Read an article, discuss a new approach with a colleague, or research what other organizations are doing. Use the internet for exploration. The opportunities for learning are multiplying every day in this information age. Read voraciously to continue to learn and grow. Aim to read a couple of business books a month, plus periodicals, online journals, and the "Wall Street Journal" daily. You might not always reach that goal, but it’s there to challenge you to learn and continue to grow. You can even schedule a book club around a book that you and your department want to read. Sharing the concepts with colleagues and applying them to your department or organization cements the learning. Look up colleagues with whom you've lost touch. Make sure that you attend at least one professional meeting each month. You'll benefit from the friendships and relationships you'll build from active participation in networking. It's not enough to sign up—you have to show up and join in as well. Step out of your comfort zone. What do you usually do when an issue occurs? Do you mentally make up excuses in your mind as to why you really don’t have to speak up, or why taking a stand on an issue will get you in trouble? State what you're actually thinking when you find yourself in this situation...if only just once. Coworkers will admire you after the shock wears off. You don't have to be rude or argumentative. Just quietly, concisely, and professionally state your opinion. You'll probably find that speaking your mind gets easier after you've broken through your self-imposed barriers the first time or two. You'll realize that you survived the experience, and your career might thrive as a result of leaving your comfort zone. That old adage about one mouth and two ears is true. Plan to listen to all that your coworkers are saying this year. They might just want a sounding board, not necessarily advice or problem-solving. Lending them an ear can empower them to solve their problems. They're more likely to move from "stuck" to "action" when they feel completely heard out. The Fitbit or another personal exercise tracker can help you keep track of steps, calories consumed, weight, sleep, and exercise. This is handy for tracking your more personal goals. And dumping the information into a tracker gives your mind room for more critical thinking. Maybe this is the year when you finally begin the collection you've always dreamed of. Resolve to take the first steps in participating in an activity or interest that has always intrigued you and piqued your interest. Redecorate and modernize your home. Pledge to entertain friends, family, and coworkers more frequently. Express your creativity in home design and entertainment. You’ll add a new dimension to your world, and this can positively interact with your business success. You can get bogged down in serious deliberation, advising, and problem-solving as you strive for business success, but take time to laugh. Smile when you hear stories about what your crazy employees are doing after hours—or even, during work hours. You don't have to be the mom or dad figure all the time. Enjoy the employees for their little quirks and differences. Appreciate the different strengths, skills, and experiences they bring to work. This is the part where you don't stuff your list into a drawer and forget about it. Your resolutions will be more manageable—and by extension, you'll more easily stick with them—if you keep the concepts simple. Nothing says that you have to tackle all of these resolutions. Choose the resolutions that most resonate with you, the resolutions you're most likely to stick with—the resolutions with the greatest opportunity to transform your world. You will demoralize your year and deter yourself from keeping up with the more doable resolutions if you lapse on the most difficult, unrealistic, or unattainable resolution right off the bat. But don't cross it off your list if you falter. Restructure it so it's more doable and dedicate yourself to it tomorrow. You can achieve your hopes, dreams and New Year's resolutions. Just follow these ten recommendations to achieve your best year—ever.